First of all, can I get a “Go State!” from all of my Iowa State fans out there?! Woot woot! I have to admit, I’m not a sports fan. at. all. But, Iowa State is my alma mater and if I’m going to cheer for any school, it’s going to be that one. Ok, enough about sports. That was plenty for me. In other news, how was your weekend?! I had a fun and much needed girls’ getaway weekend with my two closest and dearest friends from college—Sarah and Alex. 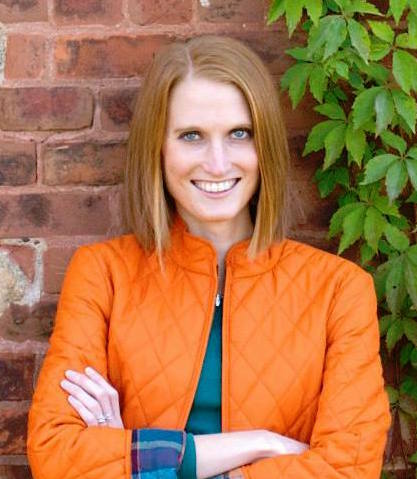 Sarah and I met the first day we arrived to Iowa State; we were assigned as random roommates at Iowa State and it could not have been a better fit! We hit it off immediately and were roommates for all four years, making several good memories together along the way. 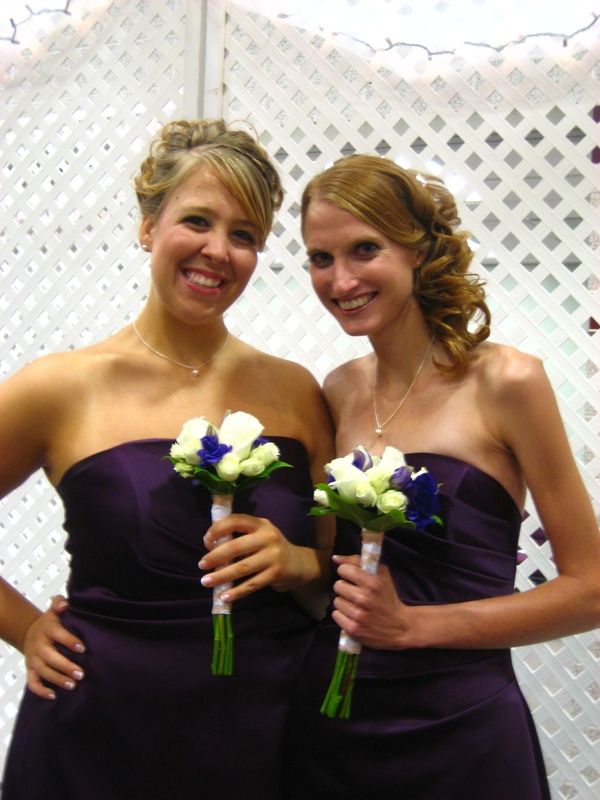 Let’s just say, unlike many people in college, we both had a great roommate experience during college! 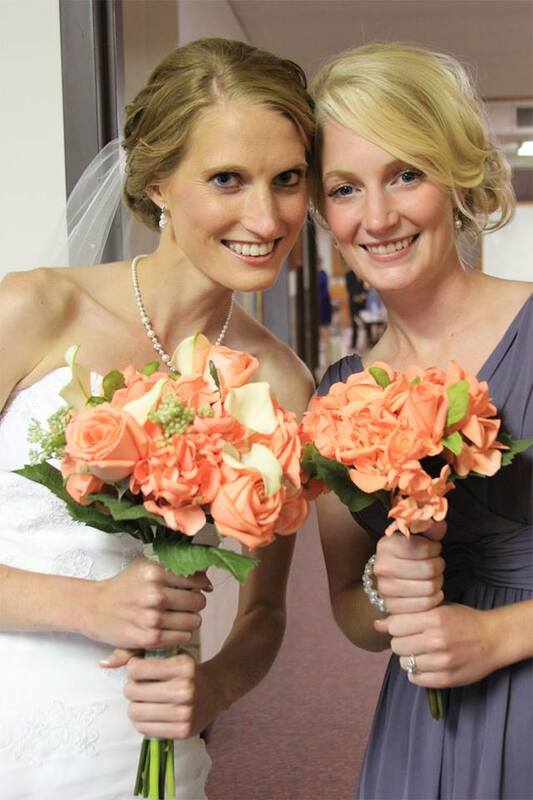 We were so similar in almost every aspect, that we were (and still are) often mistaken as sisters—I’ll take that as a compliment! Sarah, Alex, and I all live in different parts of the Midwest now, so we met up at Sarah’s parents’ house, which was a good, central spot for all of us. They live in Northeast Iowa, tucked away among all the trees, curvy gravel roads, and corn fields. Just the drive alone was relaxing enough for me. Getting back to gravel roads, driving through several small towns, and being surrounded by countryside reminded me of my life growing up in Northwest Iowa. 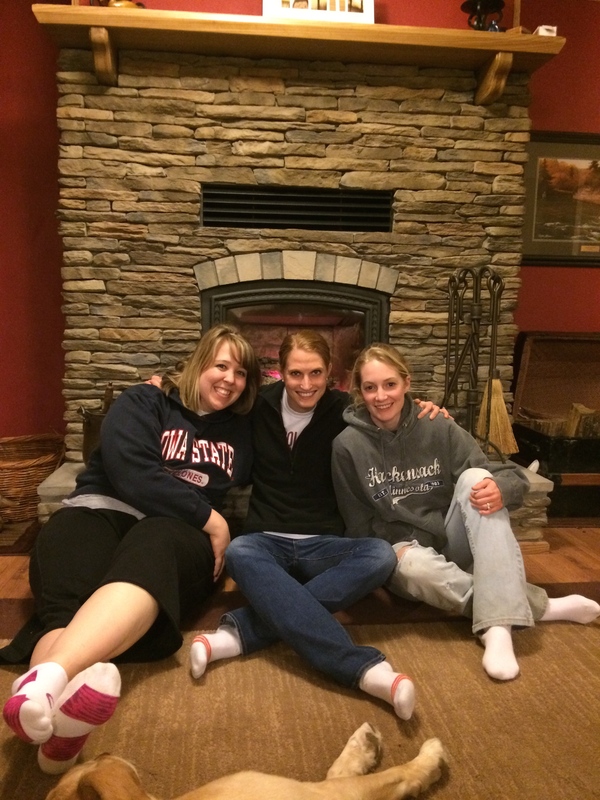 Despite frigid weather, the three of us had a great time catching up, walking around downtown in small-town Iowa and going through shops, staying warm by the fire, playing card games, and cooking together. For lunch on Saturday, we ate at a great café downtown called Water Street Café. 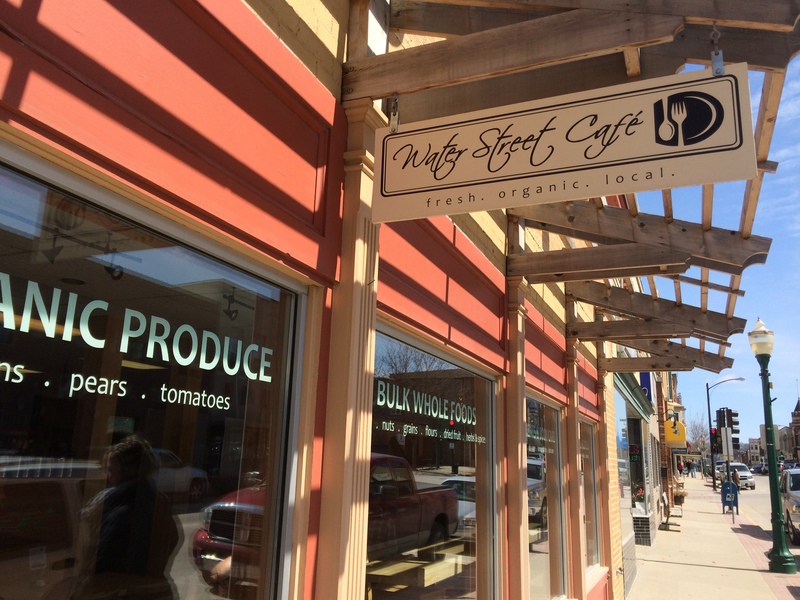 It was attached to a food co-op and most of the food served was locally grown and made from scratch daily. Talk about delicious! It was a quaint café with unbelievably friendly service, too. I hope to make it back again! Maybe I should explain this a little bit first. Yes, they actually are the same chia seeds from the chia pet commercial we all know and love from the 90’s. But don’t go running off yet! They’re a grain similar to flaxseed, which you may be more familiar with. Unlike flaxseed, which you have to grind up to get the beneficial Omega-3 fatty acids stored inside, chia seeds can be eaten unground. Plus, chia seeds have higher amounts of the Omega-3 fatty acids, as well as more fiber than flaxseed and is a great source of calcium and protein. All that to say, it’s packed with the good stuff we need. The Omega-3 fatty acids can help reduce inflammation, improve cholesterol levels and heart health, and may also help with brain and memory health. So don’t be afraid of it just because it has the dreaded term “fat” in it! It’s the good fat that we should be getting more of. 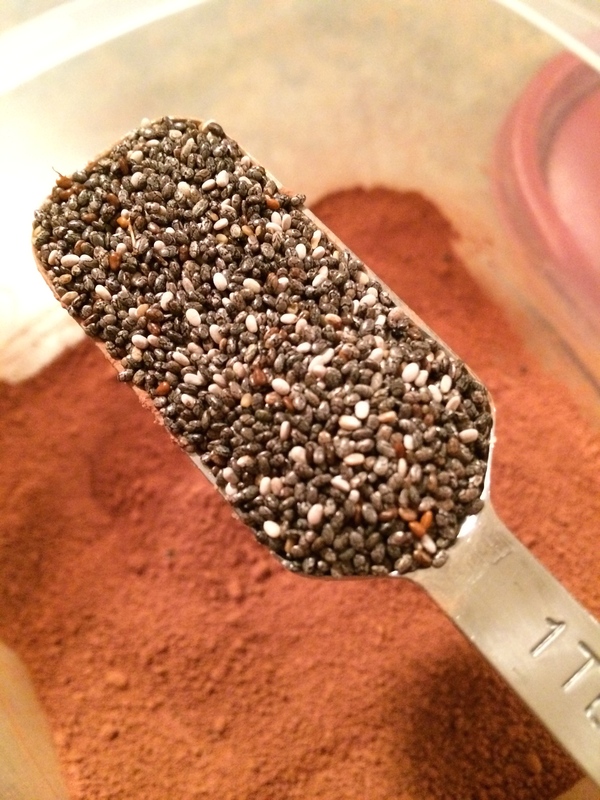 Chia seeds, when eaten dry, are similar to a poppy seed in taste and are dense, small, and crunchy. I always tell clients that they’re great added to smoothies, yogurt, cereal, or salads; it makes for an easy way to add some extra fiber and healthy fats into our meals and snacks! What’s unique about chia seeds is that when soaked in liquid, the seeds soak up the liquid and become plump and soft, similar to tapioca pearls (just think of them doing that in your stomach; that’s why they’re so great at making you feel fuller longer!). 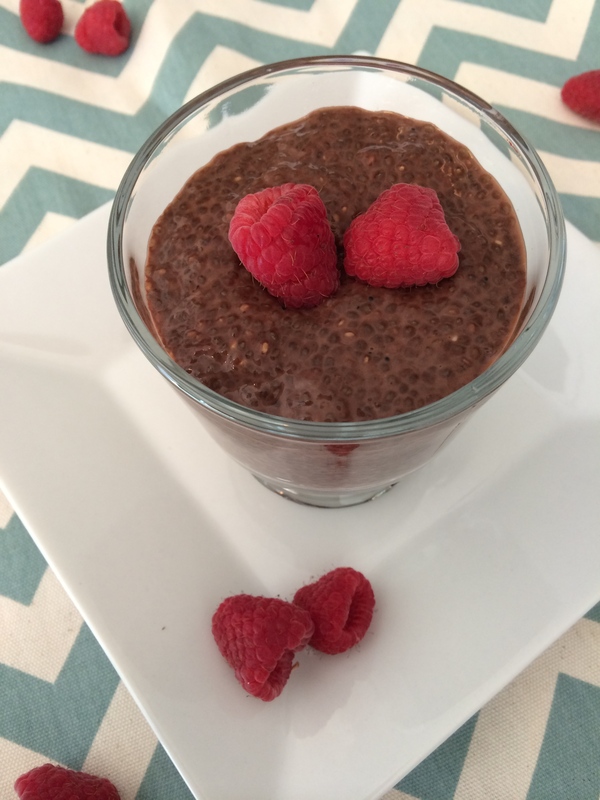 Which finally brings me to my Chocolate Chia Seed Pudding. 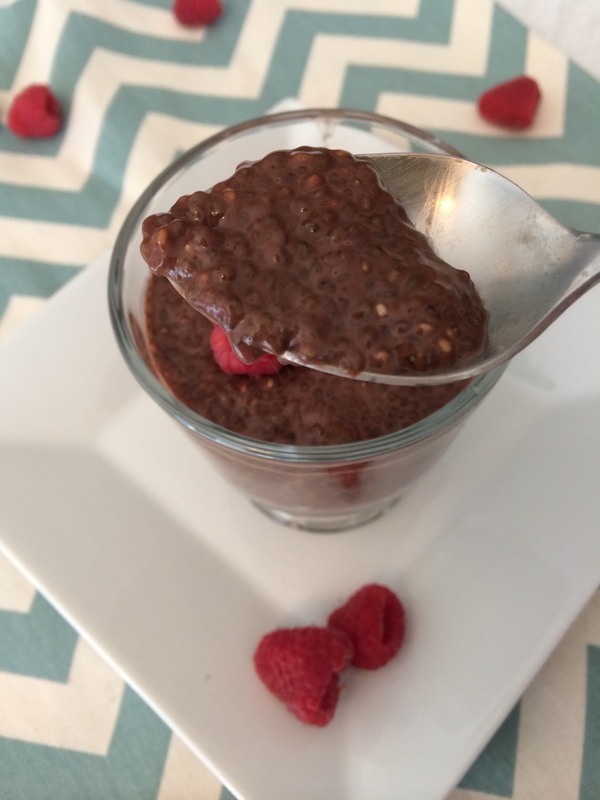 It really is just like chocolate tapioca pudding. And the best part? (Besides it being a sneaky way of eating something healthy with your dessert.) It’s so easy to make! 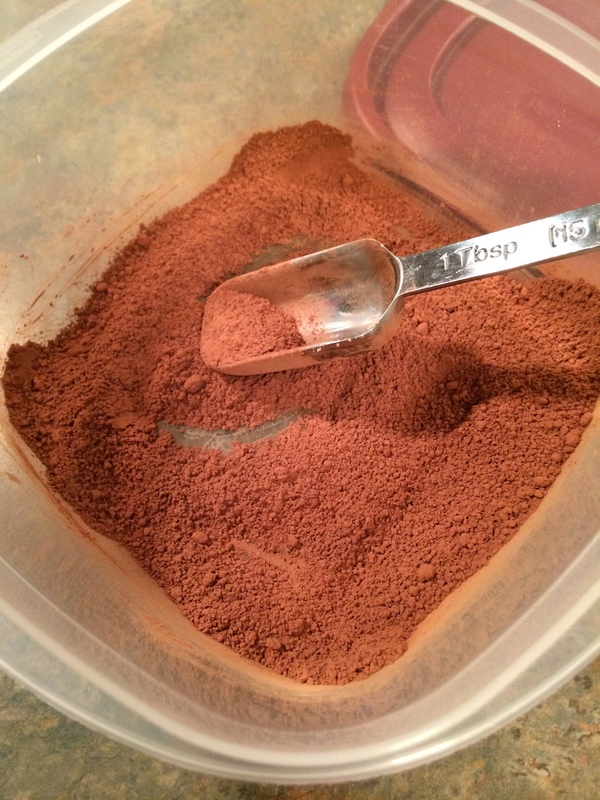 To make it, all you do is mix together cocoa powder, brown sugar, and a little granulated sugar together until smooth and clump free. 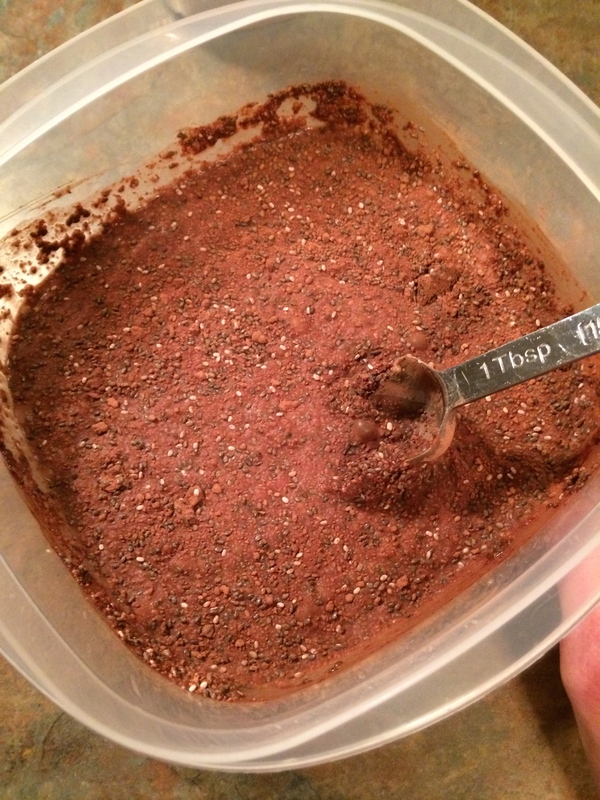 Add in some chia seeds and mix them into the cocoa powder mixture. Pour in some skim milk and stir to combine. Let it sit overnight in the fridge and you have chocolate pudding in the morning! 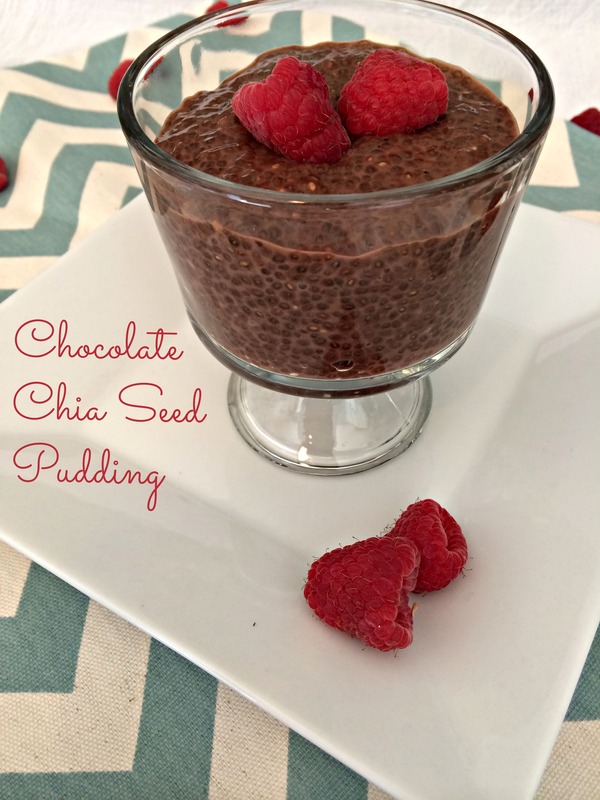 It’s amazing how much liquid the chia seeds soak up and that it actually really tastes like pudding! The chia seeds have such a mild flavor that you don’t taste them at all; it’s just the texture you notice. Sarah and Alex both approved of the pudding and agreed it was like tapioca pudding. Philip and I have been enjoying this as our after-dinner dessert, too. This particular recipe has no added peanut butter to it (shocking, I know! ), but I have added a half tablespoon in the past, creating a mild peanut butter flavor. I think some Nutella added in would also be very tasty! So you see, it’s already been friend- and husband-approved. How bad can it be? Give it a try and let me know what you think! If anything, try adding the dry seeds to your smoothies and salads to get an extra nutritional boost in your day. 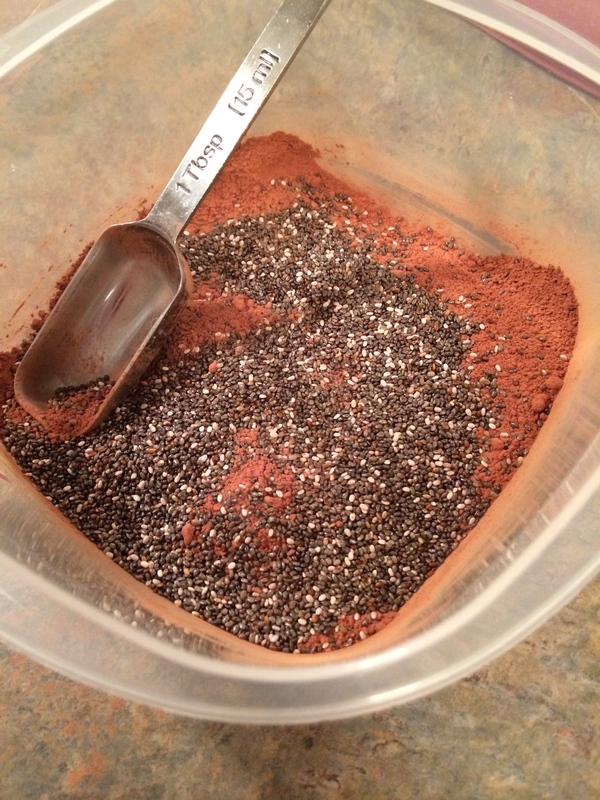 Add chia seeds to the mixture and stir until combined. Pour milk into the bowl and stir to incorporate. Cover the bowl and refrigerate for two hours or overnight. Stir once more after chilling, divide into serving cups, and garnish with raspberries or any other fresh berry. Enjoy! 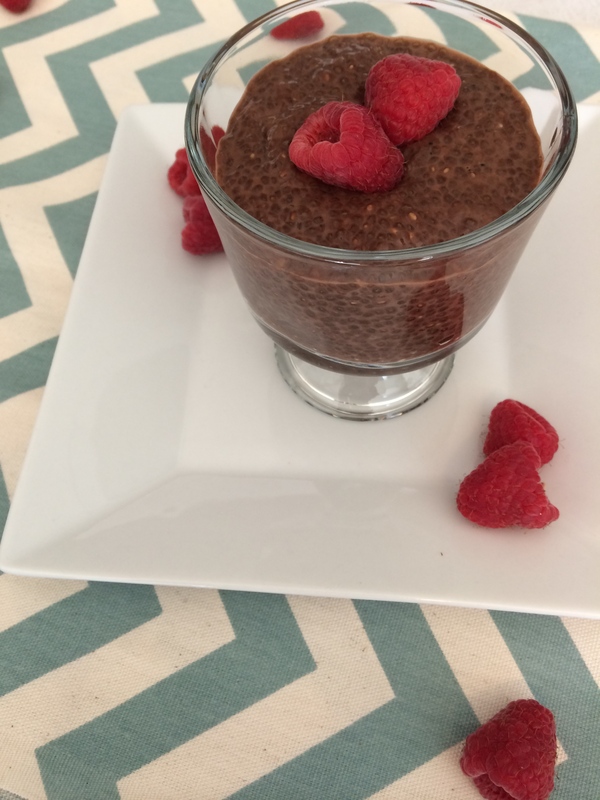 Kara – I’m excited to make Spenser try this, he loves pudding!!!! I also love chia seeds, I like to sneak them into thins at my house, especially smoothies. I really encourage my students to eat them also!!! I’ll let you know what we think once we try this! Don’t worry, I knew exactly who you were. :) I miss you guys, too! 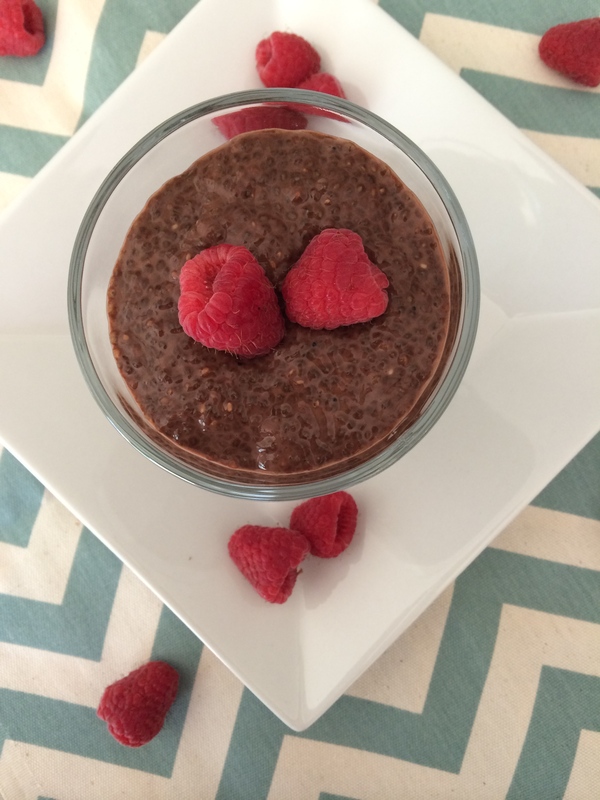 I haven’t had vanilla chia seed pudding, but I may have to give it a try. Did you add vanilla extract to it? You’ll have to let me know what you think of the chocolate. I was so excited I actually made it last night. SOOO GOOD! For vanilla I just mix in a little extract and some honey to sweeten. I don’t measure any of it. I’ll probably be making chocolate from now on though, it was perfect! Yay!! I’m so glad you like it! It seriously is just like chocolate pudding. Thanks for trying it out! 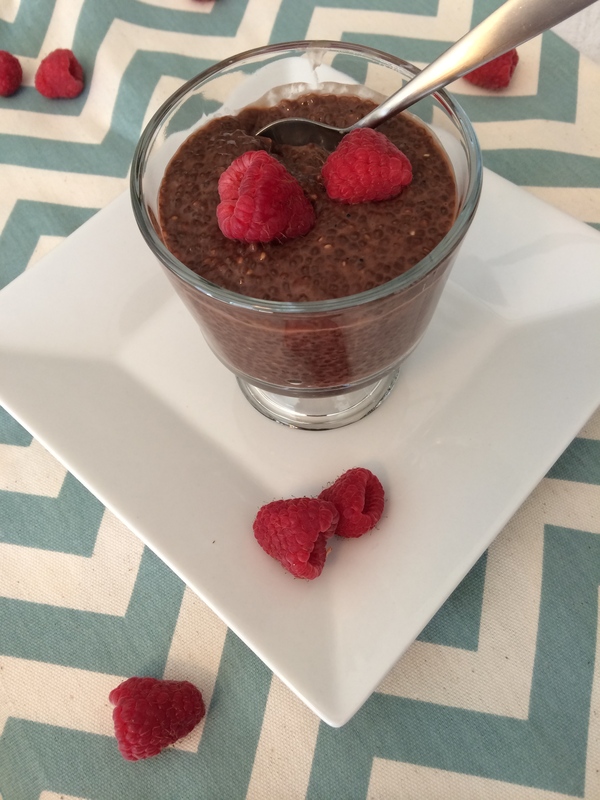 I crushed up some raspberries and layered my chocolate chia pudding with sweetened yogurt. I thought it really popped this way – you should give it a try! That sounds yummy! It reminds me a little bit of a layered parfait or trifle. Thanks for the suggestion!